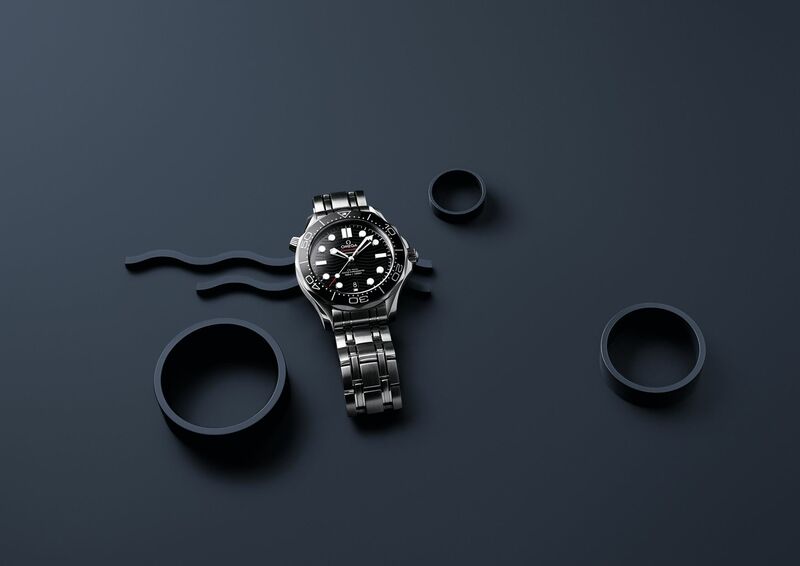 Launched in 1993 as a part of the hugely successful Seamaster range of diving watches, the Omega Seamaster Professional Diver 300M was an instant success globally. 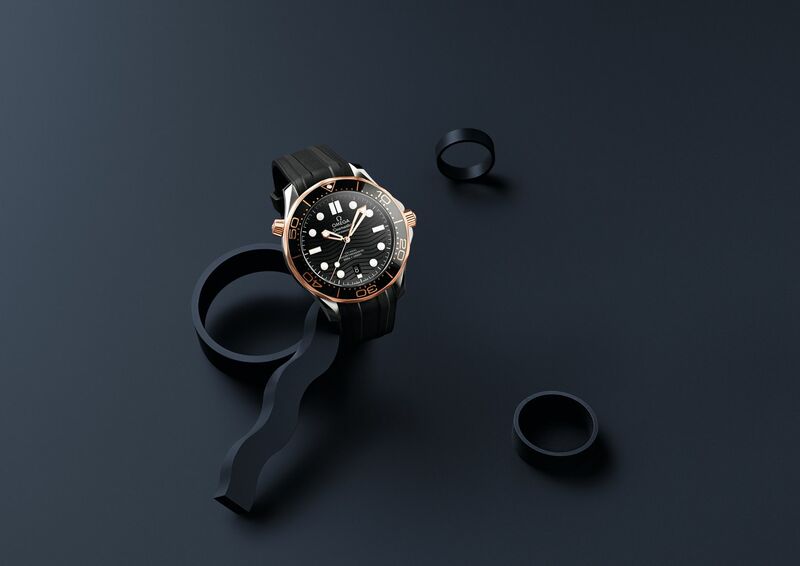 Recognized for its design and technical proficiency, the watch found its way onto the wrists of divers, athletes and researchers, relying on it in the most demanding of environments. A year later, the Seamaster Diver 300M Chronograph was awarded ‘Watch of the Year’ by readers of German magazine Armbanduhren, signaling a promising future for Omega’s newest collection. It did not take long for this promise to come to fruition with the world’s most famous spy, 007 James Bond himself, strapping a Seamaster Diver 300M on his wrist for GoldenEye in 1995. Omega and Bond have become inseparable ever since, a mainstay in every James Bond movie that has followed. For 2018, Omega has unveiled a complete facelift of this famous watch, with 14 unique models, including 6 in stainless steel and 8 in a mix of stainless steel and 18ct gold. Sized larger to 42mm, each new Seamaster Diver 300M has been given a Master Chronometer Calibre 8800 movement, instantly elevating the entire collection’s precision, performance and magnetic resistance. Magnetic forces in electronic devices used on land, on deck and even under the sea can throw a timepiece out of synch. Of significant note, diving equipment often include magnetic devices and are operated in close proximity. To counter this, the movement is built with non-ferrous materials that can resist these effects that magnetism causes. In addition, the movement and watch have passed the 8 stringent Master Chronometer tests set by METAS (Federal Institute of Metrology) that include examinations under strong magnetic fields of 15,000 gauss. 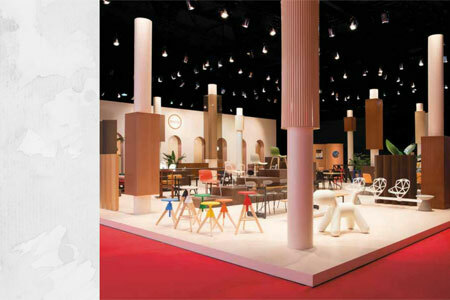 These intensive tests by METAS go beyond the industry norm COSC certification, and mark a new standard of quality. The METAS tests range from the aforementioned magnetic exposure tests, to daily chronometric precision tests, to power reserve tests and tests of water resistance. 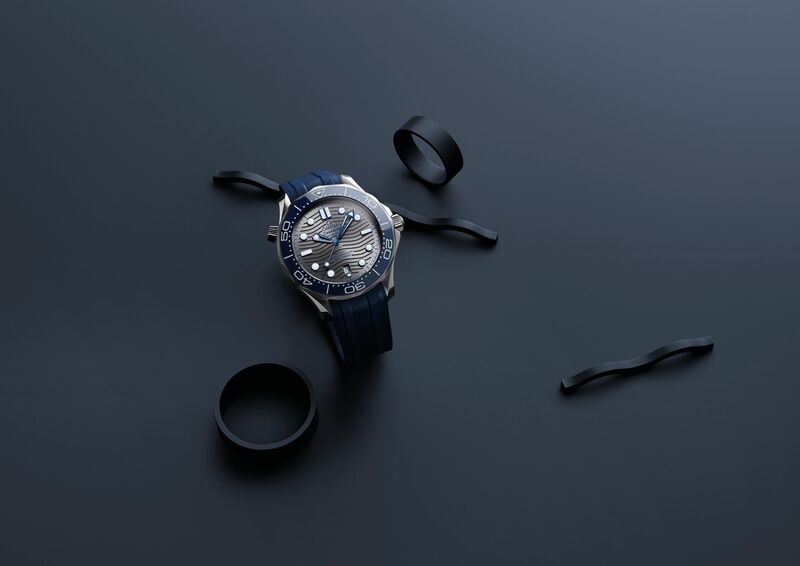 For divers, keeping track of time spent underwater is crucial, and the new Seamaster Diver 300M has given the all-important rotating bezel a fresh design twist. Not only is the iconic diving bezel now made from ceramic with the diving scale in Ceragold™ or white enamel, Omega has also included a luminescent dot at 12 o’clock. Completely stylish, utilitarian and vintage approved at the same time. Professional divers face unique challenges in the course of their work, helium molecules expand during decompression and can pop the crystal face and case-back off regular wristwatches. One of the Seamaster Diver 300M’s most important details has always been its helium valve, implemented to allow helium to escape the watch case safely. For the new models, the valve has been given a conical shape and has been patented with an ingenious new feature. 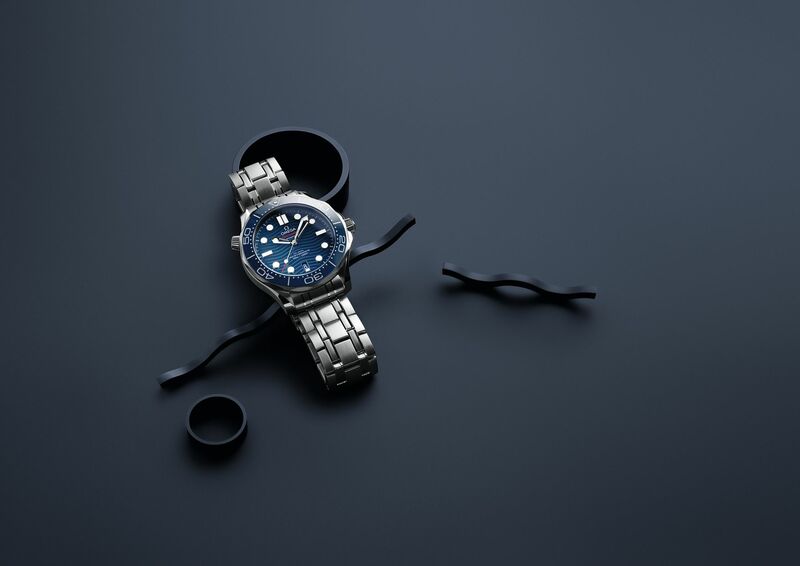 Should the Helium Escape Valve be accidentally opened underwater, the watch is guaranteed to still remain water-resistant up to 5 bar. The dials of the new watches are also made from polished ceramic and are available in black, blue or a sun-brushed PVD chrome color. Omega has also responded to popular demand by reintroducing a wave pattern on the dial, now laser engraved on the new models. All indexes have been raised and filled with Super-LumiNova and, for symmetrical balance, the date window has been moved to 6 o’clock. Even the skeleton hands, in either rhodium-plated, 18ct gold, or blued, have been subtly reshaped. On the back of the watch, a wave pattern on the edge mirrors the waves on the dial. A sapphire crystal is also included, through which one can admire the world class METAS-approved Master Chronometer Calibre 8800 movement. Lightly decorated, the movement is magnificent to behold and a masterstroke in precision manufacturing. Each model is presented on a traditional iconic metal bracelet or an integrated black or blue rubber strap. The metal bracelets feature a new ergonomic design and have been closely integrated to the case for supreme comfort, as well as a sleek contoured look that enables the watch to be at home in suit, be it wet, or Saville-Row. Omega ambassador Daniel Craig, set to play 007 for the fifth time, characterizes this best. Every inch the gentleman, Daniel Craig first wore an Omega on screen in Casio Royale in 2006, but he has been an avid watch fan long before he took on the iconic role. Though Bond is stoic, tough and even ruthless when required to be, Daniel Craig is anything but. A grounded English gent with an approachable style and commitment to social causes, he is not just a friend to Omega, but also the face of the new Seamaster Diver 300M. 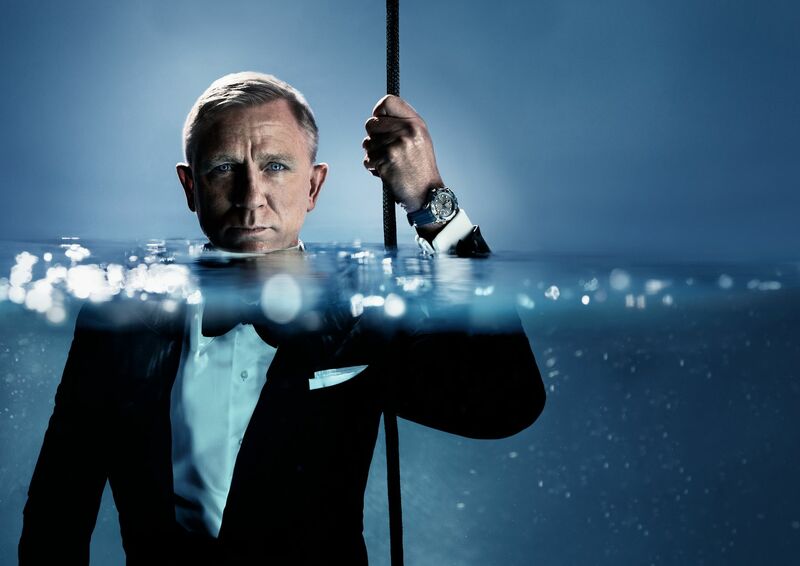 Truly the perfect choice, the latest advertising images feature his steely gaze and piercing blue eyes perfectly matched with the Omega Seamaster Professional Diver 300M on his wrist, all while submerged in a tuxedo.